Whether it’s for personal use or business transactions, your checking account should serve you effortlessly. Don’t settle for less - choose Peoples Bank of Alabama for your checking needs. We work hard to give you the latest in new technologies to make your banking experience as easy as possible. With Mobile Banking for Apple Watch you can view account balances and transactions with just a few taps. Secure and quick access to the information that is important to you... right on your wrist. PeoplesPay - Paying Back Friends and Family Has Never Been Easier. Through Mobile and Online banking, you can send money to anyone, anywhere in the US. All you need is an email address or cell phone number and best of all it's Fast and Free! No registration required and recipient receives funds almost instantly. Manage your card spending right from your mobile device. Turn your cards on or off, set spending limits and get alerts, all with a few quick taps. Another example of us providing Big Bank Capabilities with Local Roots. We are proud to now offer affordable, small dollar loans to our customers. These short-term loans are available 24 hours a day 7 days a week. Convenient, fast, and secure - another way we put people first. Photo Deposit - Banking on your schedule. Use your smartphone to make a secure deposit anywhere, anytime. This service is available to our consumer and business clients at No Cost through the Peoples Bank of Alabama Mobile App on supported Apple and Android Devices. Get the money you need to refinance higher interest rate debt or to make an upcoming purchase. A personal loan is convenient and gives you a fixed term with a fixed rate so you know exactly how much you'll pay each month. We have a simple application process and most approved loans can be funded quickly. *Annual Percentage Yield (APY): All APY's are accurate as of 12/17/2018. APY's are subject to change at any time. 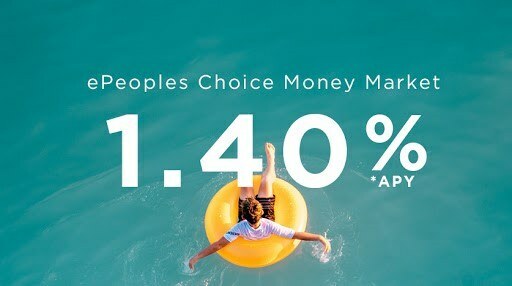 ePeoples Choice Money Market offer only applicable to personal accounts. Excludes accounts with public funds. Fees may reduce earnings.